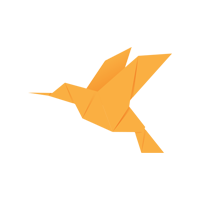 BambooHR is a cloud-based human resources management software. It offers tools for employee self-onboarding, talent database, applicant tracking, and HR reporting. In this article, we covered user reviews. Ready to try BambooHR? Get a free trial. Users who gave BambooHR a positive review commended its intuitive, organized, and customizable interface that enables them to easily streamline their tasks. Some of them also said that features such as calendars, employee administration, and recruitment tracking, help them in efficiently centralizing their workflows. Users who gave BambooHR a negative review complained about slow responses from the customer support team. Some of them also had issues with the mobile app not syncing with the system, the steep pricing, as well as the applicant tracking function email templates. BambooHR doesn’t publish its pricing plans online. Services from similar companies usually cost around $5 to $10/employee/month for basic services, while the more extensive apps can cost $20 to $40/employee/month. 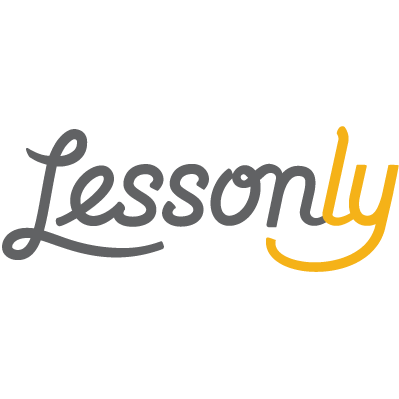 Additional tools for performance management (peer feedback, assessments, and performance reports) and time tracking are also available. Prices are customized. Ready to try BambooHR? Get a free trial. How does BambooHR help users track personal time-off (PTO) requests? 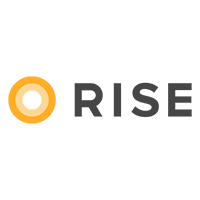 BambooHR provides users with an automated real-time PTO tracking solution. It enables users to access PTO reports and requests on the platform and on its mobile app. What tools does BambooHR provide for applicant tracking? BambooHR enables users to post job openings, create hiring teams, and review resumes. It provides an end-to-end applicant tracking solution that is simple and intuitive for both applicants and users. Not sure if BambooHR is the right fit for you? Read our reviews of all top HR software or check out one of these three BambooHR competitors. Some of the reporting features are not as advanced as I would like. We have been using them for about 1.5 years and they have come along way since we started, so I am happy with that. We do not use the payroll or ATS system for our company so I cannot comment on those. Nothing much, we love BambooHR! The monitoring and administration system for the different areas of human resources offered by this software is fascinating. The management is user-friendly and responsive. It does not present much flexibility when it comes to managing absences and managing the database of employees, making its use inefficient. However there is no more that can be mentioned about it. We would have liked to know more about its integration with Dropbox, ways in which it is applied and how it is used correctly. However, there is not much to say. We highly recommend it. BambooHR is simple to use and has a beautiful user interface that employees love. BambooHR helps you keep track of, share and report on HR data. The workflows allow you to easily route changes for approval helps keep things paperless. The integrations are poor, and the customer service isn’t always great. I wish we would have investigated the integrations more thoroughly. The integrations with Netsuite and Jobvite were not very good, and it was very hard to get support on them. Customer service is very junior and I often felt like I knew more about the system than the customer support person I was talking to on the phone. 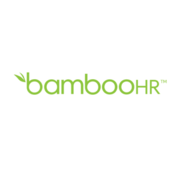 BambooHR really helped us implement effective HR practices. Before we used BambooHR we didn’t even effectively know or communicate a clear reporting line. 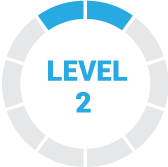 We’ve used it for leave, org structure, onboarding, offboarding, and performance management (optional extra module). BambooHR also has integrations with a lot of additional systems which can augment it, such as Small Improvements. We have found BambooHR to be very expensive compared with our other software needs. There is also limited customisation due to it being an off the shelf product. For example we could not find a way to keep job descriptions in a way that would make them visible to the whole company. We could not adjust the BambooHR performance management peer review system to our review cycles, and it is limited in terms of how many peers you can select for these reviews. The product on its own is great and designed for a purpose. What makes BambooHR special is their excellent customer service, speed of response, way they resolve issues and support the users. I also appreciate the speed of the software development (month on month basis) based on customers demand. We used to store emoplyoee data (incl payroll) in hardcopies and very disorganized electronic files. We used to process document signatures via sending pdfs via email and chasing people to insert picture of their signature. We used to run approals on salary changes and promotions via word document being sent over via emails. We used to manage time off and annual leave balances via excel spreadsheets and email approvals. You can imagine all of this was a nightmare, considering our staff is located in 10+ different countries. BambooHR set our HR free, enabled us to manage majority of HR processes electronically and empowered managers and employees to have resonsiblity over their part of it. All is fast and transparent. We also did not have to spend much time traing our teams to work with HR, as their UX design is extremely good and intuitive. Our company is based in United Arab Emirates and sometimes we find BambooHR too US specific, which unfortunately does not allow us to use the full scope of the features it offers especially the timesheet features as it calculates overtime based on US laws. Other feature that does not work for us is tracking of trainings, as we need employees to be able to add records (currenly only admin can do that) or confirm completion of specific training reqeusted by HR (again, only admin can perform this action).